We keep our baby teeth for the first 6-12 years of our lives. Nothing melts the heart like a baby’s smile. 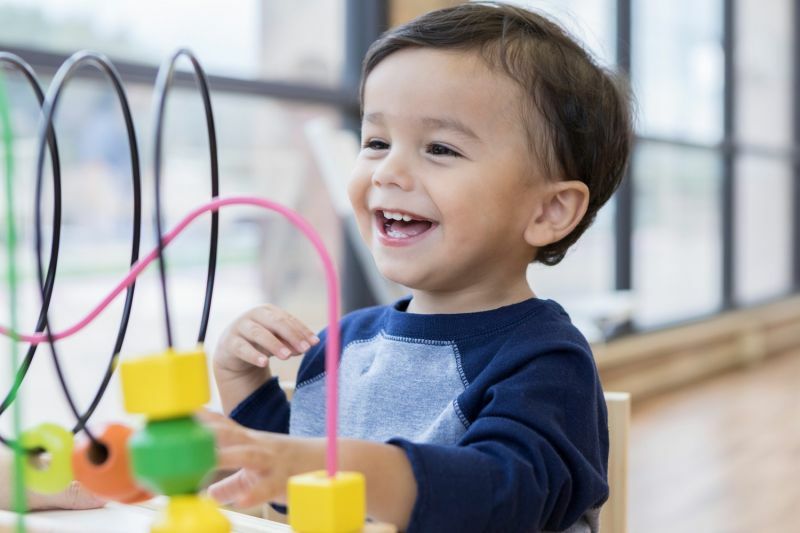 Ask any parent or carer and they will attest to countless hours spent tickling, cooing, and making goofy faces – all to coax another grin from their little one. Keeping those grins in tip-top condition is vital – not only because we love their smiles, but for their long-term health. 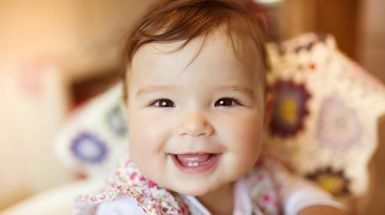 Baby teeth might be temporary, but they play an essential role in child health and development. Our baby’s teeth allow them to eat nutritious foods and learn to talk. They also hold space for adult teeth to come through, all the way into the tween years. When baby teeth decay, it can be painful and uncomfortable for children. It can also increase the risk of more serious dental conditions, which can continue into adulthood. With good dental hygiene practices and a healthy diet, parents can help keep baby tooth decay at bay. It’s important to follow a good dental care routine as soon as your baby’s first tooth appears. Brush your baby’s teeth with a soft, small toothbrush and water only. You can introduce a pea-sized amount of low-fluoride toothpaste at 18 months of age – just remember to store it out of their reach. Once they’re six years old, children should use regular-strength fluoride toothpaste. 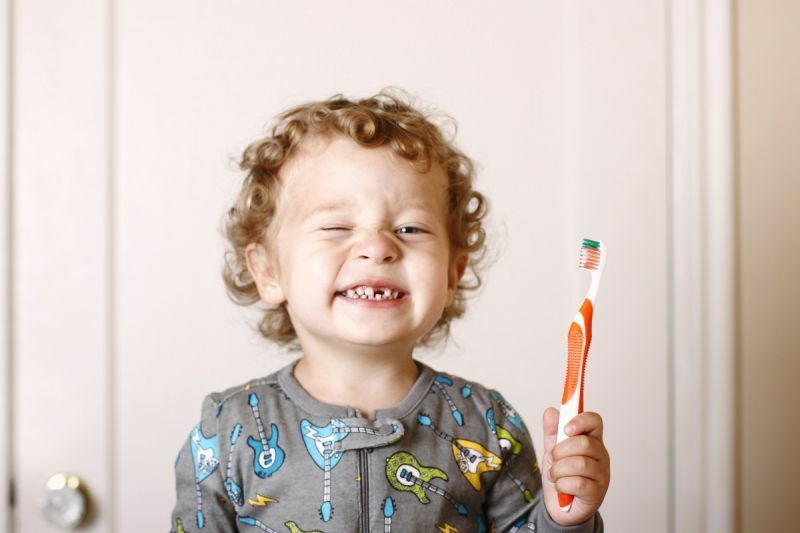 The habits we form in childhood can carry through into adulthood, so start developing a toothbrushing routine early. Brush teeth twice each day – after breakfast and before bed. Brush for two minutes – don’t rush! Try playing a song or using a timer so your child knows how long brushing lasts for. Use a pea-sized amount of age-appropriate toothpaste (or no toothpaste at all for children under 18 months of age). Children should not be allowed to dispense toothpaste without adult supervision. Brush in a gentle, circular motion along the gum line as well as the insides, outsides, and tops of teeth. Spit, don’t rinse after brushing. This prevents rinsing protective fluoride from teeth. Learning dental care skills takes time. Children need their parents’ help with brushing until they are around eight years old. Even after they’re brushing by themselves, supervising is still important. From birth until around six months, babies need breast milk or infant formula. If you are using a bottle, only fill it with breast milk or infant formula. Formula will decay teeth faster than breast milk, so special attention needs to be paid to caring for formula-fed baby’s teeth. It’s important that babies aren’t put to bed with a bottle as it can lead to tooth decay. Try to introduce a cup from six months of age and stop using a bottle at 12 months of age. Water is the best drink for toddlers and children. Avoid sweet drinks like juices, flavoured milk, cordials, and soft drinks as they are high in sugar and cause tooth decay. By your child’s second birthday, they should have their first visit to the dentist. This will help reduce the risk of tooth decay and support positive oral health habits. The dentist can let you know how often your child should have check-ups, based on their individual needs. Typically, children should see the dentist at least once every 12 months. Having regular dental check-ups makes it a normal, expected part of your child’s life. You may be eligible for $1000 to use towards your child’s dental care. Contact Medicare to check whether you are eligible for the Child Dental Benefits Schedule. Help your child to view visiting the dentist as a positive experience, and never use it as a threat. This will help your child to form great dental health habits. Take your child with you to your own dentist appointment, before their own first visit. This can help your child to become familiar with the environment and put them at ease when they return. Visit a dentist that specialises in caring for children (a paediatric dentist), if possible. Bring a special toy or item that can give comfort to the child, in case they get nervous. Sit in the dentist’s chair with your child on your lap. This can help your child feel more comfortable, and help them to sit still during the check-up! Check your own emotions about visiting the dentist. If you’re stressed and anxious, your child may sense it. Try to stay calm and frame it as a positive experience, and your child will be more likely do the same. Did you know that your dental hygiene can impact your baby’s oral health? Adults can pass decay-causing bacteria onto newborn babies through activities like sharing spoons and cleaning a dummy or bottle in their own mouth. To reduce the risk, make sure you’re following good dental care practices by brushing twice a day with fluoride toothpaste and going for regular check-ups at the dentist. Remember, parents and other family members are the most important role models to young children. They watch and learn health behaviours from you. Practise good dental care together and keep the whole family smiling brightly!